What do you feel when music HITS you? Bob Marley was one of the most influential musicians ever and his legacy has proven to be timeless. Marley’s reggae music has been adapted into many different cultures, especially here in Brazil, with such musicians such as Gilberto Gill, Edson Gomes and numerous other reggae bands from all around the country. The 11th of May, the day Bob Marley died, is the national reggae day in Brazil. Explore and listen to last fm here for a more extensive list of Brazilian reggae. In Jamaica there are many historical aspects that have influenced their English. Being a British colonized country, Jamaican English is based on British English, but has a lot of American influence due to its proximity and influences in the media. Another unique thing about the language is that it’s spoken with a different intonation, which is very similar to Irish English. When it comes to grammar and spelling learnt in schools, British grammar is most prominent throughout Jamaica. Besides these influences that have formed this unique Jamaican pronunciation, there are also a few other cultural aspects that add a lot to the vocabulary. Take a look at this Jamaican comedian and see how he uses his Jamaican accent to trick people. Rastafarianism is a Jamaican religion which started in the 1930’s and has been growing throughout the world ever since. The “Rastas”(short for Rastafarian) are well known for their use of Marijuana, also known as “ganja,” during their spiritual ceremonies. Rastas do not accept western culture and believe we should all return to Africa (Zion) as it is the true birthplace of mankind. Because Rastafarianism is so strong in Jamaica, there are also a lot of colloquial expressions to go with it, let’s take a look. Cool Runnings – usually used at a time of departure on a long journey, meaning have a safe trip. Dread – Person who has dreadlocks, greeting to friend, expression of a good idea. 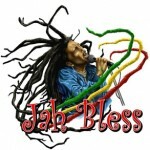 I an I – Rasta speech for me, myself, and I.
Jah – Rastafarian God, mentioned a lot in Bob Marley’s music. Jammin’ – To be having a good time, or to play music with friends. Learn more Jamaican English here. Although English is the official language of Jamaica, the Jamaican Patois (pronounced Paatwaa) is used in more informal situations, amongst friends and colleagues. This language is nearly impossible for me to understand, even though some of the words are English. It also has vocabulary from Western African countries, Portuguese, Spanish and even Hindi. Patois is seen as a totally different language amongst Jamaicans. Bob Marley was a Jamaican singer/songwriter whose music has influenced the world politically, socially and spiritually. Marley was living in a slum in Kingston called Trench Town in the 60’s when he started the band, “the Wailers,” with Peter Tosh and Bunny Livingston. Even today, Marley’s music is celebrated around the world and still used to represent social change and political protest. Marley was often criticized for his use of marijuana and religious beliefs (Rastafarianism), but his message and his fight was for peace, love and equality. We all love Marley’s songs for their peaceful and chilled-out (relaxed) vibe, but most people are unaware of what he is actually singing about. In many of his songs he sings about the oppression of Africans, but this is done in a somewhat subtle way. Unless you’re familiar with the expressions used, it can be quite difficult to understand. Let’s take, for instance one of his greats, Buffalo Soldier. 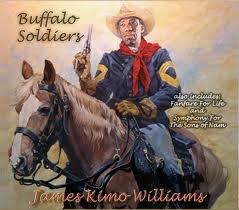 A “Buffalo soldier” was a name given to African American soldiers who fought during the Native American conflicts in 1866. This name was given because of their skin color, strength and their hair reminded them of a buffalo. Let’s take a look at the clip, you can scroll down to see the lyrics as we sing along. In the chorus they make a reference to how the Africans were taken (stolen) from Africa, and when they arrived in the U.S.A they were forced to fight the native americans. In this verse Marley is making a reference to how the modern day Rastas are decedents of the Buffalo soldiers, fighting for their values. Who the ‘eck do I think I am. Who the heck- Quem, inferno, eu estou pensando que sou? Bob is singing about how history is taught inaccurately, and people are unaware of the buffalo soldiers and other aspects of African heritage. This line “win the war for America” is a very strong and powerful amongst Rastafarians. Marley is making a reference to how African Americans fought in wars and helped build the U.S. for what it is today. San Juan was a pathway from the U.S.A. to Jamaica. Troddin’ (trodding), would be like saying walking through. So, there you have it. In just one of the hundreds of songs written by Bob Marley, we’re given some insight to Rastafarian culture, we’ve picked up some new vocabulary, and learnt about Jamaican pronunciation. 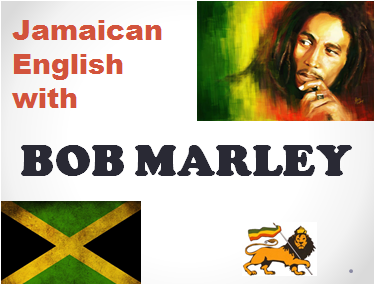 My Question for you Real Life English, what is your favorite Bob Marley song, and how do you feel when the music hits you? Please feel free to comment this on our Real Life English International facebook community. Fantastic Web-site, Maintain the wonderful work. Thank you so much!